Park City recently took steps on a tiny Old Town street meant to slow traffic and improve the safety of pedestrians, addressing concerns in the neighborhood months after a tense stretch between people who live there and drivers. Hillside Avenue connects the southern end of Main Street and Marsac Avenue, and it is an alternative for drivers headed to and from the Main Street core. There are a few houses along Hillside Avenue. The people who live there became frustrated as the amount of traffic, particularly trips by commercial vehicles like delivery trucks, taxis and shuttles, increased over time. The street was thrust in front of the Park City Council last spring as the frustrations continued, including a notable confrontation between a pedestrian who lives on Hillside Avenue and a driver. Officials pledged to consider measures to address traffic and pedestrian safety as the tensions continued. City Hall in late August installed on a temporary basis what is known as a speed table. It functions similarly to a speed bump as vehicles slow nearly to a stop as they drive over the speed table. It is on the top of Hillside Avenue. The speed table will be removed for the winter to allow snowplows to operate on the street. 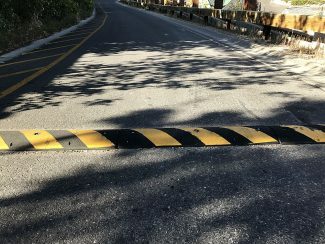 A municipal crew also put down striping along one side of Hillside Avenue that is designed to mark a pedestrian path on the street itself. Alfred Knotts, the transportation planning manager at City Hall, called the striped area a "pedestrian refuge." He acknowledged, though, the striped area is not enforceable. Knotts said the steps were inexpensive and were completed in quick fashion. "They've seen a lot of people slowing down," Knotts said about the neighbors. 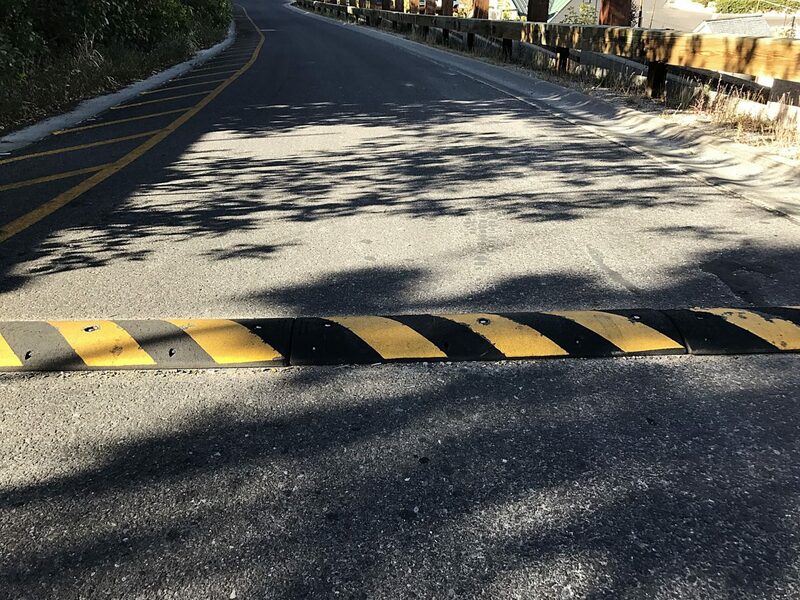 He said, though, there have been reports of drivers attempting to avoid the speed table by curving to the side, leaving just one side of tires to move over the measure. Knotts indicated officials made other modifications to Hillside Avenue in response to the concerns. They include posting 20 mph speed signs, putting up new yield signs and relocating other yield signs. The Park City Police Department increased enforcement on Hillside Avenue as well. Knotts said City Hall modified a way-finding mobile phone app to direct drivers to Heber Avenue as the access point to Main Street rather than Hillside Avenue. Knotts, meanwhile, said City Hall in the fall intends to build a so-called bulb-out on the west side of Main Street just north of the Hillside Avenue intersection with signs directing drivers toward Swede Alley. Officials see the bulb-out and signs as a project that could route drivers away from Hillside Avenue. He said officials also will manage Hillside Avenue in a similar fashion as residential streets in Old Town rather than as an arterial street. 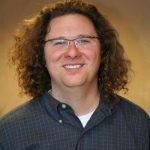 The efforts followed a strained period that brought the issue to Mayor Andy Beerman and the Park City Council in the spring. One person who lives on Hillside Avenue publicly recounted a confrontation with a driver after, according to the resident, the vehicle narrowly missed hitting three people talking at the bottom of a residence's steps. Someone posted handmade signs on Hillside Avenue at about the same time. One of the signs requested drivers stop and said "No Trucks!" while another one requested drivers slow down.